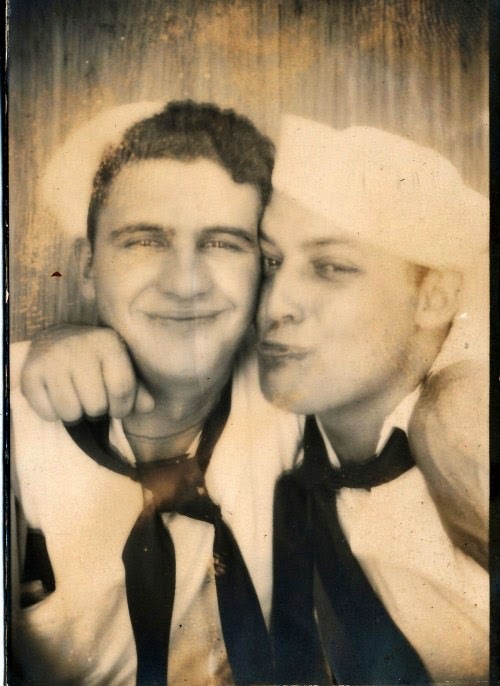 These vintage photos represent just a small fragment of our LGBT history; unfortunately so much of it has purposely been destroyed. Since the men and women in these photos are unknown, it's pretty much impossible to tell it they were a gay couple or just "good friends." Most photographs of gay couples were eventually destroyed by horrified family members. For every photo that I may have mistakenly identified as gay, thousands more were burned or torn into pieces to keep a family secret. 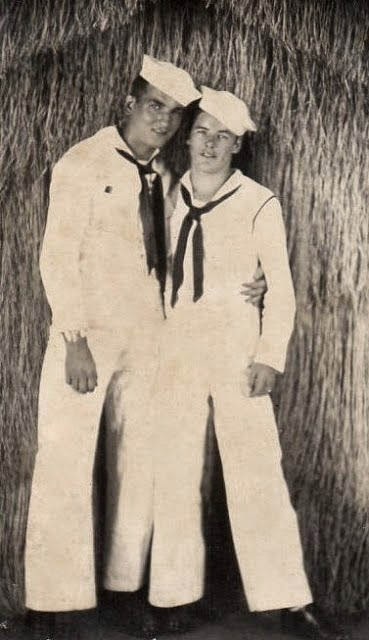 Your blog is very nice with all these interesting gay vintage fotos. I ask for myself why some people still does not accept this fact: to be gay is natural. Since world exists gays exist too. Congratulations to your work on this blog. Congratularions from Rio de Janeiro, Brazil. Excuse me. I do not want to be harsh, but is it possible you put more informatios about pictures as place and date? Thank you very much. Hi Lucas, you aren't being rude, but as I explain in my disclaimer, I don't know who these men are or what nature of their relationship was at the time of the photo. I wish I knew; if only more people labeled their photos!